Home » Business and Business Energy News UK » What are business energy suppliers? What are business energy suppliers? Energy is a necessary part of running any business or household, but what are energy suppliers? Why are they necessary? And what can they offer your business? An energy supplier is a business that is responsible for the generation and harvesting of the fuels that homes and businesses require to get power. Energy suppliers use a range of methods in order to achieve this. Some prefer to secure their power through conventional fuels such as coal and natural gas, whereas others are now choosing to pursue greener pastures by generating energy using wind turbines, solar panels and hydropower plants. Why are energy suppliers necessary? Homes and businesses across the UK are becoming more independent and empowered than ever before to generate their own energy. There are a range of government funding schemes to compliment this, which has resulted in a lot of homes and businesses making the move already. Be that as it may, even these homes and businesses still have to choose a Feed-In Tariff from an energy supplier, as individuals cannot directly trade with the National Grid. If you do not have your own energy generation equipment, you must choose from the options available for the suppliers in your area also – so there is no real way of avoiding them all together. And all sorts of other problems. No-one wants that stress, so the best thing that you can do is investigate the market so that you can make an informed decision on the right supplier for your needs. The ‘Big Six’ is a phrase that describes the UK’s largest energy suppliers. Together, these suppliers dominate the energy market with an estimated market share of 95% between them. 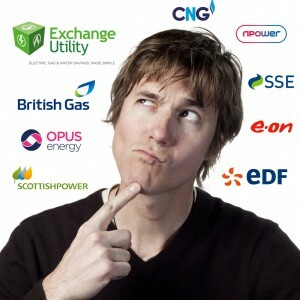 The Big Six include the following suppliers: British Gas, EDF, E.On, Npower, Scottish Power and SSE. However, just because they are large suppliers, doesn’t mean that they can offer your business the best deal. We are seeing more and more smaller energy suppliers emerging from the woodwork, which is really starting to drive competition within the market as suppliers are having to offer customers more the secure their business. Trying a smaller supplier also doesn’t mean that you will end up paying more. 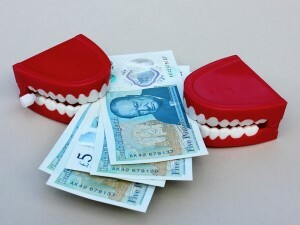 Some can already offer deals that are equivalent to that of the Big Six. Compare business energy today to see the difference for yourself. What can energy suppliers offer your business? Offerings from supplier to supplier vary, and each supplier has a number of different perks that they can offer you. This could include energy management software, efficiency advice or even free gifts. To find out more about contracts and advantages that your business could get from a range of UK energy suppliers, get in touch today. Call 0800 9777 000 or complete the form using just a few details from your latest bill.